We interrupt our regularly scheduled news to bring you six phenomenal food and drink finds that we're currently obsessed with at Hungryland! Handpicked by HG Lisa, these aren't supermarket staples, but they're just a click away on Amazon! 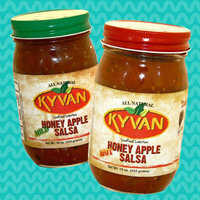 You read that right -- honey apple salsa! And yes, this slow-simmered condiment is as obscenely delicious as it sounds. It's available in both Mild and Hot varieties, so pick your perfect blend and add it to everything: salads, fish dishes, chicken breast... the works. And it is sooooo good with cut veggies. Shake up your salsa routine with this unique pick. Fun fact: It was created by NFL pro Reggie Kelly! Scoot over, cheese puffs... There's a new cheese snack in town. 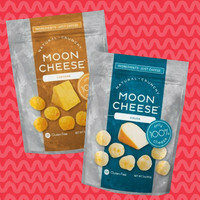 We embraced freeze-dried fruit a long time ago, but this is freeze-dried cheese! The all-natural snacks look like cheese puffs and deliver the same satisfying cheesy crunch, but they're made from 100 percent cheese. And that means they pack a protein punch! 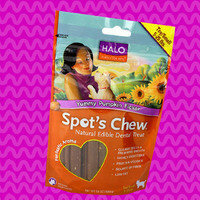 Perfect on the go, and we love the re-sealable pouch. Try the Cheddar, Gouda, and Pepper Jack. 100 percent yum! This line deserves your immediate attention! The majority of these just-add-alcohol mixes have zero calories and no sugar, and they taste fantastic. Jordan's got all the classic cocktails covered: Piña Colada, Margarita, Appletini... even Cosmopolitan. Stock up, and plan an at-home happy hour! Here's a cool alternative to ramen! These soup cups are filled with bean-thread noodles, so they're gluten-free. They're also meatless, free of MSG, and much lower in calories than freeze-dried ramen cups. The All Natural options are Caramelized Onion, Mushroom, and Hot & Sour. Mmmm! 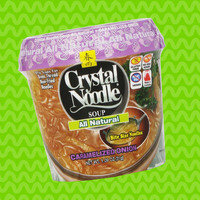 Heads up: The regular Crystal Noodle lineup has two servings per container, so stick with our All Natural recommendation. Lisa became obsessed these gourmet meat snacks earlier this year, and we can't say enough about 'em! The flavor and texture are a match made in snack heaven. 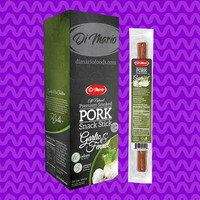 There are pork sticks in Original, Hot, and Garlic & Fennel as well as Rosemary Herb chicken sticks. Love, love, love. These are perfect emergency snacks for those between-meal hunger pangs. (And they're so purse friendly!) Stock your pantry before we order all of these. Yesterday, July 24th, was National Tequila Day. 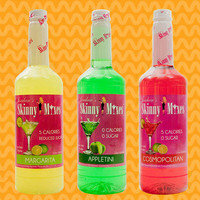 Celebrate late -- order up one of Jordan's Skinny Mixes for the weekend! Help your pals find their perfect (edible!) retail-therapy find -- click "Send to a Friend" now.